Each August, teams from across the country travel to the Canadian Ultimate Championships (CUC) to compete for the national title in 7 different divisions: mixed, open, women's, junior open, junior women, masters open and masters women. Teams compete at this seven-day tournament not only to determine the national champion, but also to determine who will represent Canada at the next world championships. Since 2016, the mixed divisions have been held as a separate event from the remaining divisions. The CUUC started in 1995 and brings university teams from across the country to compete in the open & the women's division. Each fall Ultimate Canada operates two competitions for university Ultimate teams in Canada: the Canadian University Ultimate Championships (CUUC) and the Canadian Eastern University Ultimate Championships (CEUUC). The CEUUC began in 1998 and brings university teams primarily from Ontario and Quebec together to compete in the open & the women's division. In 2010, the Toronto Ultimate Club released a documentary film, 30 years in 30 minutes, that traces the club's history as well as the history of ultimate Frisbee in Canada. Not far removed from the invention of Ultimate in the late 1960s, Ken Westerfield and Jim Kenner (the founder and CEO of Discraft) ran the Canadian Open Frisbee Championships (guts, distance and later disc golf, disc freestyle and individual field events) in the early 1970s at the Canadian National Exhibition and then later on Toronto Islands. They also participated in several Frisbee show tours across Canada for Irwin Toy (Wham-O licensee and Frisbee distributor for Canada). Each year their show tours would end in Vancouver where they would set up the Vancouver Open Frisbee Championships on Kitsilano Beach and Stanley Park (1974-1977). This is where Jim Brown, Bill King and John Anthony of freestyle fame made their first competitive appearances. From these championships and the presence of these touring professional Frisbee players (Westerfield, Kenner, and Bob Blakely of Irwin Toy), Toronto became the hub of Frisbee activity in Canada. In the early 1970s, Ken Westerfield introduced disc sports including ultimate north of the 49th parallel at the Canadian Open Frisbee Championships in Toronto and by creating the Toronto Ultimate Club (TUC). The Toronto Ultimate Club is one of ultimate's oldest leagues. Ken Westerfield lived in the Beaches in south east Toronto, this is where he would set up shop, taking his Frisbees down to the beach on a grassy area next to the boardwalk called Kew Beach and would play with whomever wanted to join him. Four of the original ultimate players, Ken Westerfield, Jim Lim, Stuart Godfrey, and Patrick Chartrand and others played a pickup game of ultimate Frisbee one afternoon with Westerfield outlining the rules. For this group it became a regular thing and the group began to grow. In 1979, Westerfield using his local tournament player contact list, started weekly ultimate pick-up games in the Beaches on the same grassy area next to the boardwalk on Wednesday evenings. Christopher Lowcock, introduced to disc sports by his brother Les, became part of this group. Lowcock, Westerfield and the others would recruit more players as they passed by along the boardwalk, Wednesday ultimate pick-up was becoming very popular. In 1980, Westerfield sent team invitations to Wards Island, West End, North Toronto and Westerfield's own team the Beaches, to join the Toronto Ultimate League. These were the first four teams with each team taking turns hosting the league games at their home locations. The league starting night was at Kew Beach. These were the very first disc ultimate league games in the city of Toronto, the beginning of the Toronto Ultimate League (Club), and the first ultimate league in Canada. The Toronto Ultimate League developed into the Toronto Ultimate Club (TUC), that now has 3300 active members and over 250 Teams playing the year round. The first Canadian Ultimate Championships (CUC) were held, for the open division, in Ottawa 1987, produced by Marcus Brady and Brian Guthrie. OCUA subsequently hosted the 1993, 1999, 2002 and 2011 Canadian Ultimate Championships. Canada has been ranked number one in the Ultimate World Rankings several times since 1998 in all the Ultimate Divisions (including Open and Women's) according to the World Flying Disc Federation. 1972-1985: Canadian Open Frisbee Championships, Toronto and Vancouver Open Frisbee Championships (1974-1977) introduced Frisbee and the beginning of competitive disc sports. 1975: Ultimate is played for the first time at the Canadian Open Frisbee Championships as a showcase event on Toronto Islands. 1987: Winnipeg Ultimate League begun by Jean-Luc Forest and Mike Jones. First full season in 1988 had three teams and roughly 14 people. 1995: Masters Division added to Nationals. First Annual University National Championships - open & women's divisions. 1998: Team Canada Masters wins first Gold Medal for Canada at Worlds (WUGC) - quickly followed by Gold in Mixed and Open. Since 1998, Canada has been ranked number one in the World, several years in all divisions, by WFDF World Ultimate Ranking. 2012: Junior Division at CUC splits from Mixed into Junior Open and Junior Women's Divisions. 2013: The Junior Open and Junior Women's divisions at CUC split away from the adult events competition turning CUC into a 7-day tournament. 2013: As a founding partner, the Toronto Ultimate Club presented Canada's first semi-professional Ultimate team, the Toronto Rush, to the American Ultimate Disc League (AUDL). Ultimate training at York University. The Toronto Ultimate Club was founded in 1980. 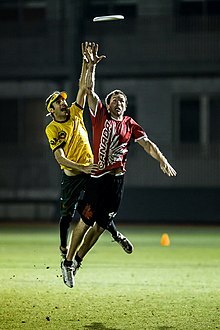 It is Canada's oldest ultimate league with teams participating every season, on most days of the week and on various fields (indoor and outdoor) throughout the year. It is a not-for-profit organization that was incorporated in 1995. The club consists of three full-time managers, a strong board of directors which represent the membership, and over 100 volunteers. London Ultimate Club (LUC) is a growing league in London, Ontario. The club was founded in 1998 and incorporated as a not for profit in 2008. The club runs outdoor leagues in the summer and indoor leagues in fall and winter. Ultimate is popular in Ottawa, Ontario. OCUA is currently one of the two largest leagues in Canada (alongside the Vancouver Ultimate League), and for a time was the largest ultimate league in the world—in 2004, there were 354 teams in the summer league and approximately 5000 members. The Vancouver Ultimate League has around 5300 active members who play throughout the year. Its primary focus is recreational play. It also hosts clinics and introductory programs for new players, and supports a number of elite club teams who compete in provincial, national and international championships. Founded in 2004, the CUA coordinates year-round leagues, annual tournaments, a growing juniors program, and outreach efforts to promote the sport of ultimate frisbee within Calgary and surrounding areas. Each year in June the CUA hosts the annual Ho-Down and Slo-Down tournament that draws more than 30 teams from across Western Canada and the United States. Calgary Juniors Ultimate hosts an annual tournament and youth league. Windsor Ultimate in Windsor, Ontario since 2007. In 2010, Windsor Ultimate officially became a non-profit entity in the Province of Ontario, this move allowed the organization to better situate itself as a legitimate sports league in Southern Ontario. The Montreal Ultimate Association has enjoyed incredible growth and has become one of the largest Ultimate associations in Canada. Although the sport first came to Montreal in 1984, the 1993 season truly signalled the start of an Ultimate league that eventually became the association we know today. 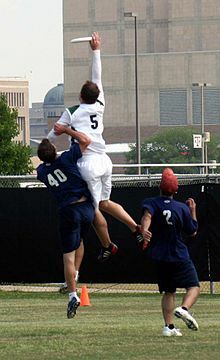 In 1997, players felt the need to create a non-profit organisation that they called Association de Ultimate de Montréal. ^ "About Ultimate Canada". Ultimate Canada. Retrieved June 21, 2010. ^ a b "Ultimate Canada". Championships. Retrieved March 4, 2013. ^ "30 Years in 30 Minutes". Retrieved May 15, 2012. ^ "History of Ultimate Frisbee and Disc Sports". Frisbee Pioneers and the Counterculture on the 1960s. Retrieved December 25, 2017. ^ a b "History of Frisbee and Flying Disc freestyle". Development of Frisbee in Canada. Retrieved June 6, 2017. ^ "History of Frisbee and Flying Disc freestyle". Development of Frisbee in the US and Canada. Retrieved February 12, 2018. Note: The Canadian Open Frisbee Championships (1972) in Toronto Canada and the Vancouver Open Frisbee Championships (1974) along with the IFT Guts Frisbee tournament in Northern Michigan were the first tournaments to introduce Frisbee as a disc sport (up until then, the Frisbee was only used as a toy. ^ "Freestyle Players Hall of Fame Pioneer Class". FPA Hall of Fame. Retrieved December 6, 2017. ^ "Toronto Ultimate Club History". Toronto Ultimate Club. Retrieved 22 October 2014. ^ "ocua hall of fame". Retrieved July 20, 2014. ^ "WFDF World Ultimate Rankings". World Flying Disc Federation. Archived from the original on June 27, 2012. Retrieved January 4, 2013. ^ "WFDF Ultimate World Rankings". Ultimate Rankings. Retrieved January 6, 2015. ^ "Toronto Ultimate Club". Retrieved February 13, 2013. ^ "About the Vancouver Ultimate League Society". Retrieved 2017-03-01. ^ "Calgary Ultimate". Retrieved March 7, 2013. ^ "Windsor Ultimate". Ultimate Information. Retrieved January 4, 2013. ^ "Montreal Ultimate". Retrieved November 7, 2015.